MT Demodulate CPM assumes that the sample rate of the input complex waveform is exactly samples per symbol × the symbol rate. If this relationship does not apply to your application, use MT Resample (Complex Cluster) to resample the waveform to the desired sample rate. Matched filtering and/or waveform realignment performed during symbol timing recovery may lead to the apparent loss of bits. 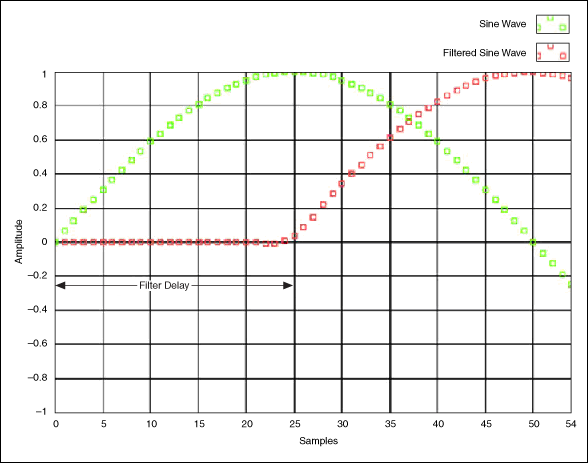 Refer to Filter Delay in the Details for more information about this effect. You can use MT Detect CPM if your application requires only the demodulated bit stream output and not the recovered complex waveform or measurements. An ordered array containing the desired pulse-shaping coefficients. This parameter is used to reproduce the ideal waveform for performing measurements. Wire the pulse shaping filter coefficients parameter of MT Generate Filter Coefficients to this parameter. When generating the filter coefficients, ensure that the value of the pulse shaping samples per symbol parameter of MT Generate Filter Coefficients is equal to the value of the samples per symbol parameter of the CPM system parameters cluster. The ideal oversampled waveform corresponding to the output bit stream. Wire this parameter to the detected complex waveform parameter of MT Measure CPM Quadrature Impairments. The time-aligned and oversampled complex waveform data after frequency offset correction and phase offset correction. The frequency offset and phase offset corrections are scalar values applied to the entire block.